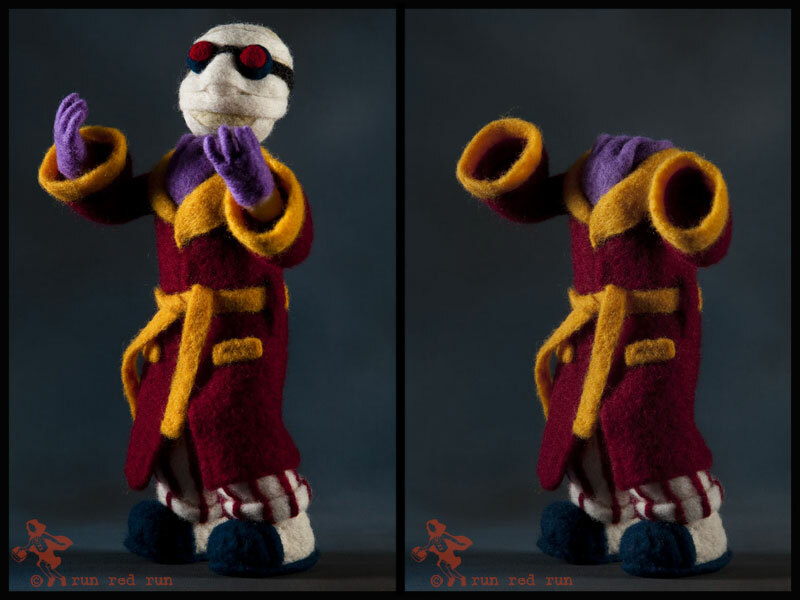 Here’s my Invisible Man art doll in both visible and “invisible” stages. The Invisible Man, based on the H.G. Welles novel, was designed by my friend, Vince Dorse. As usual, I’ll post his cool design sketch in a later post. I had a lot of fun working on this doll and I’m really pleased with how great the bandages look. They were done separately and wrapped around the head afterward (which was difficult, because his head is invisible). For more shots of the doll (taken by my friend and professional photographer Alex Patho), please take a look at my gallery.